By Xah Lee. Date: 2016-08-17 . Last updated: 2017-11-15 . Leopold is a Korean company. They are best known for the Leopold FC660C keyboard, featuring electrostatic capacitance key switch, same used in Happy Hacking Keyboard of Japan. Keyboard mode selection dip-switch; i.e swappable CTRL/CAPS Lock keys, etc. PBT is a high quality plastic for keycaps. It doesn't create ugly shiny surface after long use. It also features dye-sublimated key labels. The means, the key labels are sinked into the keycap plastic. It is impossible to wear off. Between Leopold FC660C and the Happy Hacking Keyboard, I think the Leopold is the better keyboard, simply because it has arrow keys and more modifier keys. Leopold FC660M has Cherry MX Switch. Leopold FC660M with Korean legends. What's the difference between FC660C and FC660M? They looks similar but are two completely different keyboards. Leopold FC660C is topre switch. Leopold FC660M is Cherry MX switch. The two model's keycap profiles (shape, height) are different. 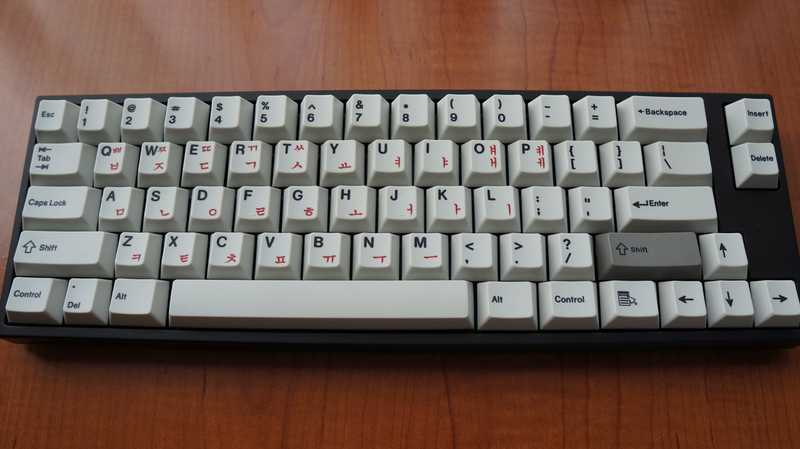 ❖ Window key size is smaller, square-shaped on FC660M. On FC660C, it's wider, rectangular. Key layouts are overall the same.